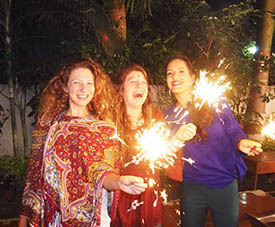 200 Hour / 300 Hour / 500 Hour Yoga Teacher Training Course Certified by Yoga Alliance. Step towards the ultimate unification of the mind with the body and its soul with Hatha Yoga Teacher Training at Rishikul Yogshala. A journey that finds its source in ancient traditionalism shall fulfill itself in the holy premises of the school. Acquire a deep insight into the teaching and practice of the virgin yoga style that emerged with the birth of the science itself. Fulfill the dream and destiny of being a yoga teacher and practitioner of excellent repute and the finest skill during Hatha Yoga Training with us. Hatha Yoga Vidya reveals the action of holding firmly a body in a posture and a mind in meditation. It means power, aim, and gaze. The Goddess Parvati, also the wife of Lord Shiva, approached the Lord and asked for guidance to douse the suffering and pain. Lord Shiva revealed to her that it all lies in the great science of Hatha Yoga. The Lord also revealed that Hatha Yoga is the path to Raja Yoga (the state of celestial awareness and utter enlightenment) a liberation from pain, a way to achieving a balance in the mind and body, and a deliverance from aims of life to reach Moksha (the route to Self-Realization). The science helps us explore the inner being and the two opposing forces that lie within each body leading us to a peaceful renunciation as and when the time calls for it. Hatha Yoga is the route to achieve a state of perfection where the mind and the body are content (without the desire for it), blissful, and liberated. Hatha Yoga is an endeavor to victor the Mind (Mana), Knowledge (Vidya or jnana), Aims of Life (orpurusarthas), Health (Swashtha), and Suffering (Dukkha). In Yoga Philosophy, the word Hatha is a composition of two syllables – ‘Ha’ and ‘Tha’. While ‘Ha’ represents the Solar Plexus (Sun or Surya), Soul (Purusa), and the Breath (Prana) – ‘Tha’ represents Character (Prakriti), Consciousness (Chitta), Lunar Plexus (Moon or Chandra), and the Breath Exhaled (Apana). The word ‘Yoga’ or ‘Yuj’ in Sanskrit describes ‘Union’. In simpler terms, Hatha Yoga depicts a sacred unification of the Soul with the Nature or Character, Sun with the Moon, and the Inhaled Breath (Prana) with the Exhaled (Apana). Physiologically speaking, the science behind Hatha Yoga is based upon the system of Nadis, also known as the Neural Networks. And, a ‘Nadi’ is the channel through which neurons are transmitted. The syllable ‘Ha’ signifies the ‘Ida’ Nadi belonging to the Parasympathetic Nervous System and the syllable ‘Tha’ represents the ‘Pingala’ Nadi belonging to the Sympathetic Nervous System. In between these Nadis, there is a Sushumna Nadi belonging to the ‘central channel’. 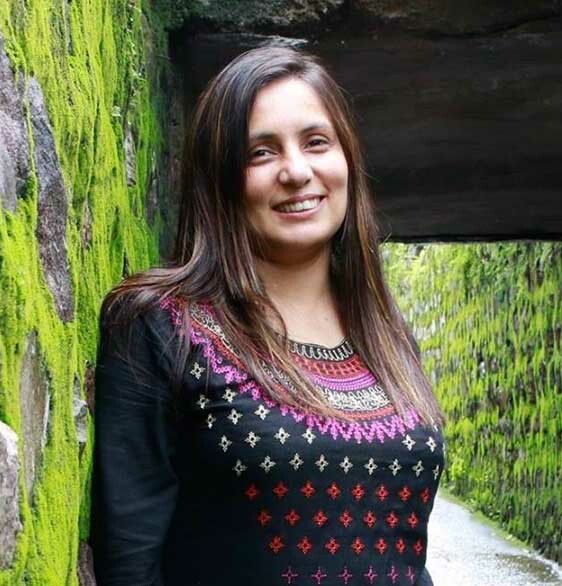 Hatha Yoga practice is responsible for balancing these Nadis and channelizing the energy centers in the entire body by activating the six chakras in the body that are the principal centers of Nadis and also referred to as the plexus – the Solar and the Lunar plexus being the two predominant halves. Each chakra is responsible for specific functions in the body and requires balancing for perfecting the body’s mental and physical health – the method of which is Hatha Yoga. The history of Hatha Yoga dates back to the ninth century when the art was developed by the line of Nath Gurus (Rishis who were Brahma Descendants) in the Northern Province of India. Swami Svatmarama, a Hatha Yogi and also a descendant of the Nath Guru lineage introduced the standardized Hatha Yoga practice in his book Hatha Yoga Pradipika – a book that became a symbol of reference and authentic resource for Hatha Yoga teachings for generations to come. After the Book of Hatha Yoga Pradipika, there have been many more traditional text books on the style, some of the most prominent being the Gheranda Samhita, Hatha Ratnavali, Siva Samhita, Yoga Ratnavali, and many more. 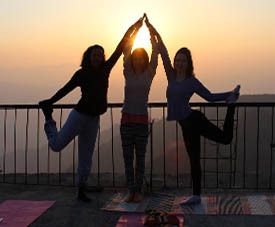 It is the traditional yoga schools where the Hatha Yoga techniques are preserved and imparted in the purest form – contrary to several contemporary yoga schools and yoga practitioners who get introduced to the tweaked versions of the art not more than a century old. Hatha Yoga Pradipika was written with the aim of taking a yogi to the image of the self through body and mind practices. In the words of Lord Shiva, the Hatha Yoga wisdom is the first leap towards the attainment of Raja Yoga. The Pradipka that is divided into four parts explains the Yamas (Restraints or Rules), Niyamas (Adherences to certain rules), Asanas (poses), and Victuals (Food) during the first segment. The second part reflects upon Pranayama (Restraint or Regulation of Energy through Breath-Work), and the ShatKriyas (Yogic purification practices). The third part represents the Mudras (Gestures or seals), Bandhas (performed blocks), the Nadis (channels of energy through which prana ((or the breath) flows), and the Kundalini Energy. Finally, the fourth part describes the stage of Pratyahara (abandonment of the senses), Dharana (attentiveness), Dhyana (reflection), and Samadhi (absorption). Traditional Hatha Yoga explains that Samadhi (the ultimate goal) is the medium through which the mind dissolves in the consciousness, the awareness in the celestial intellect, the celestial brain in behavior, and finally, this celestial behavior inhibits the Universal Spirit (Brahman). The point at which ego, intelligence, and the mind are put at rest, the Self reaches the surface and acquires the state of Samadhi – the final stage of life and Hatha Yoga. The Hatha Vidya is sometimes commonly misinterpreted as a mere physical method of practice that is deprived of any spiritual and mental goals. However, the reality begs to differ. Serious Hatha Yogis evidently experience transformations happen on mental, physical, and spiritual levels. And, this is indeed one of the core purposes of Hatha Yoga, i.e., to lead an entity to spiritual fruition. The journey of Hatha Yoga is inwards as the conscious permeates deeply into the Self which is reflected with the Self disseminating outwards. Our body and mind is caught up in a web of emotions (referred as the seven sins in the holy bible) such as Covetousness (Kama), Fury (krodha), Gluttony (lobha), Passion (moha), Arrogance (ynadha) and Spite (matsarya). These emotions bind us to the corporeal form and function as blockages for mental and spiritual growth. This is the second purpose of Hatha Yoga – to help a being overcome these hindrances. In real, Hatha Yoga is a biochemical, physiological, and spiritual scientific system that works with the psychological, ethical, and spiritual aspects of a human being along with the physical. In order to attain wisdom and enlightenment, it is highly essential for an entity to be mentally and physically healthy, poised, and focused as a robust health inspires a person to further tread their path as a yogi and a human being while a poor health brings upon degenerating effects on the body and mind both. Hatha Yoga fulfills another purpose by ensuring healthy respiratory, nervous, endocrine, excretory systems so that a harmony and sound being is inculcated. In order words, by keeping the practitioner disease-free for him to successfully follow the path of Raja Yoga. Afflictions are a common malady among the human beings whether self-inflicted (adhyatmika) or afflicted by another. These afflictions that occur on mental, physiological, and spiritual levels lead to an imbalance in the five core elements of the body, the panchatattvas. The practice of Hatha Yoga helps a yogi prevail over all the types of afflictions. Asanas formulate the very first stage of our Hatha Yoga Training. The aim is to ensure a disease-free body, offer the yogi strength, health, and an active body and mind. This also marks the first step where a yogi learns and adapts to discipline the body and mind. The function of Asanas begins at the bone level that goes onto the upfront cellular level. There are nearly 84,000 asanas and the same number of nadis to which each asana is dedicated. 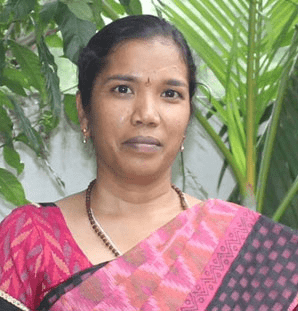 Specific attention is laid upon the series of these asanas to ensure that the flow of energy is directed upwards from one chakra (wheel or plexus) to the next. After the asana stages, the students shall move towards the next stage of Hatha Yoga which is Pranayama. As the name suggests Pranayama is a compilation of two syllables – ‘Prana’ and ‘Ayama’. Prana depicts ‘breath’ and Ayama represents ‘Control’. In order to control the psyche, a control of breath and regulation of energies through various channels is necessary. 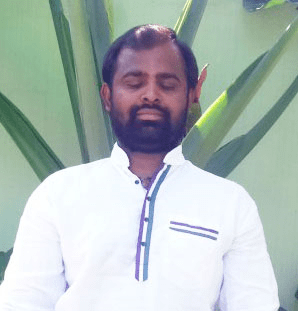 This aim is established through Pranayama Therapy. The Students shall learn the various traditional Aerobic External) and Anaerobic (Internal) types of Pranayama Breathing – all designated to achieve a complete purification of the Nadis. As the Nadis are purified, a yogi is able to enjoy perfect mental and physical well being. The knowledge and practice of Shatkarmas (the Six Kriyas) is the next stage in the journey of Hatha Yoga which involves deep removal of the excess mucus in the body which restrict the flow of prana in the energy channels. A complete purification of nadis is conducted and observed with the help of the six yogic detoxification techniques (or the six yogic works). Yogis who have a disturbed body constitution undergo these practices to re-balance their constitution. We impart all the six kriyas to our students namely Dhauti, Vasti, Trataka, Nauli, and Kapalbhati. The next stage of our Hatha Training commences with the application of Mudras, the complex movements, seals, or gestures in the body executed to bring peace and stability to the conscious. These Mudras help develop consciousness at internal level and are performed for much deeper and enhanced practices of Hatha Yoga. These Mudras are responsible for purifying at the entire cellular level and aligning the awareness in the region. These gestures channelize the energy into the designated chakras which in turn affects the organs connected to it. While advancing in the Hatha program with us, as an advanced yogi you shall be able to understand how to utilize these Mudras to overcome certain ailments. At the Bandha stage, our yogis learn about the various locks in a human body which can be applied to sustain the prana and its energy in a particular area of the body for an amount of time. These locks (or Bandhas) engage the breath to circulate and enhance the functions of the particular body systems amidst which the prana is locked in and form an important part of advanced Hatha Yoga practices (primarily Pranayama). India, being the womb of Yoga was the first land to witness the birth of Hatha Yoga that came into existence with the science of Yoga. A Hatha Yoga Teacher Training in India is a privilege and an opportunity to attain this traditional art form in the land of its origin. 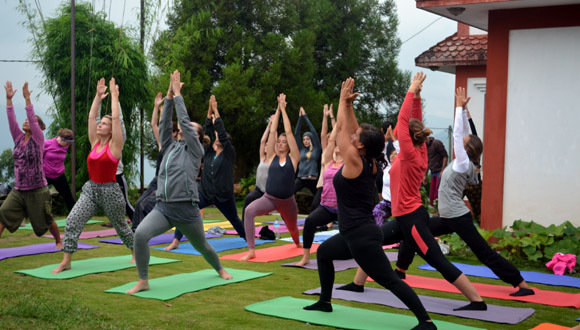 We, at Rishikul Yogshala, are highly precocious and meticulous about conducting Hatha Yoga Training and so, only the best and the most authentic aspects of this discipline are imparted to our students across our schools in India, Nepal, Vietnam, and Thailand. 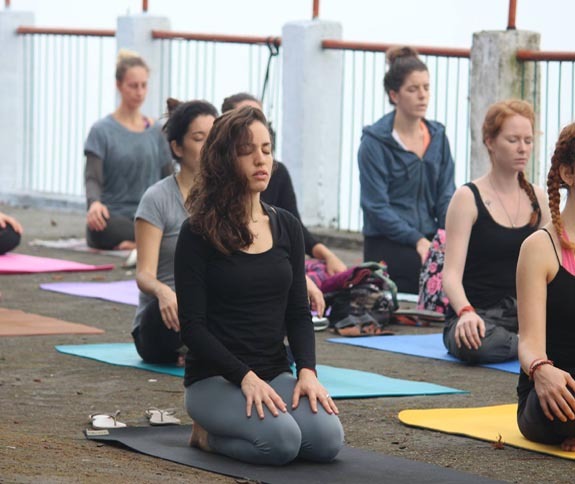 The chosen locations of our school for conducting the Hatha Yoga program are yoga-centric with traditional yogic history and espionage which makes these equally approachable and feasible for our aspiring yogis at heart and at convenience, both. We maintain consistency and expertise across all our locations so that the students do not have to compromise on the training or the knowledge. 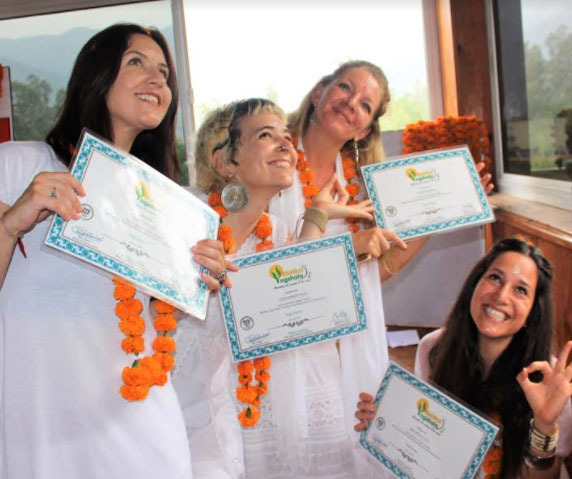 Our teachers who happen to be highly revered entities in the world of traditional yoga science have taken special care in designing a standardized curriculum of Hatha Yoga in accordance with the guidelines laid by the prestigious Yoga Alliance without compromising on the traditional and authentic aspects of the science. The teachings are imparted while seeking references from the traditional books of Yoga and Yoga Upanishads, including the Rig Veda, Hatha Yoga Pradipika, Gheranda Samhita, and Bhagavad Gita. By the conclusion of the program, an emergence into a powerful yogi and an internally elevated individual with a new-found zeal for life’s purest essence are inevitable. 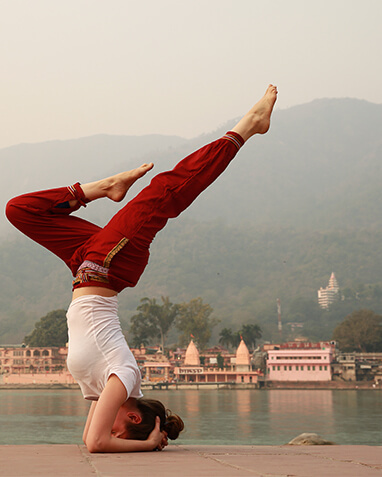 Acquire traditional insight into the Hatha Yoga style from the land of its origin and the yoga capital – Rishikesh, India. 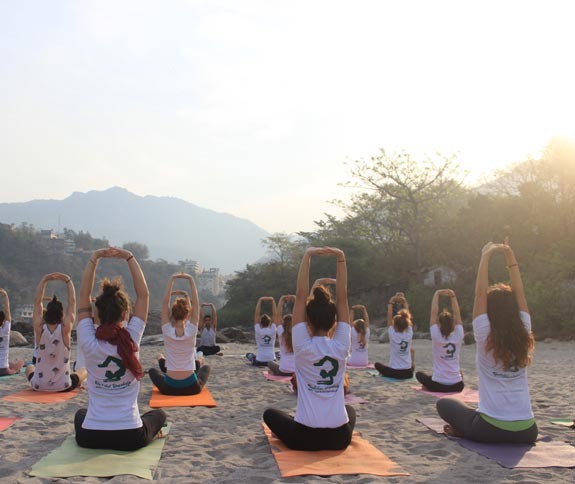 Encapsulated by the purity of the holy Ganges touched by the Himalayan soul, Rishikesh is the sacred place to be for a highly intensive Hatha Yoga learning. Begin your day with the sound of conch horns, temple bells, and Mantra chanting as the ambiance fills your soul with delight and inspiration for a transforming journey ahead. Dwell under the shadow of Rishis and Yogis who set foot on its land to dissolve into the town’s humble and celestial embrace. 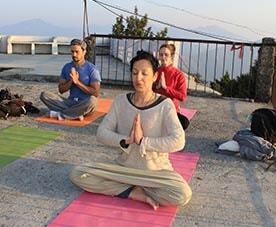 Take the maiden step to the Self and the divine with a Hatha Yoga TTC in Rishikesh at our ashram. Kerala, the land of healing treasures is another divine location where we impart traditional and authentic teachings of Hatha Yoga style. This is the land where Ayurveda, the sister science of Yoga, came into existence thousands of years ago. The place is known for its organic reserves gifted with land-borne remedies since time immemorial. During a Hatha Yoga TTC in Kerala, explore the natural gifts of the God’s Own Country in the form of enchanting backwaters, impeccable beaches, exotic fauna, abundant flora, and so much more – only a few steps away from our ashram. The meditation capital, the globe’s trekking destination, and also the birthplace of the great saint Gautama Buddha, Nepal is one of India’s neighboring countries where our branch is located at. Snuggled in the breathtaking Pokhara Valley with Annapurna Ranges shining in the backdrop, our center in Nepal is an enlightening leisure for the mind, body, and spirit. Experience the snow-laden mountains stir the yogi in you and the wonderful Gompas incite the literary during Hatha Yoga TTC in Nepal. Unfold layers of fun, hope, adventure, and traditional yoga here with us. Sail to the ‘land of smiles’ in the vicinity of Eco Logic Resort at our center in the beautiful Paksong, Thailand. Being one of the most vouched tropical destinations, truly ecological in nature and ambiance, Hatha Yoga TTC in Thailand becomes a sheer delight that brings a lot of mesmerizing memories along. The tropical heaven is also eminent for Pagodas, local street food that is equally healthy in nature and composition, and of course, its friendly people. The country practices Buddhist Theravada culture and so, a vibe of peace, wisdom, and solace can be felt here at all times. In the traditional town of Hoi An, a recognized UNESCO World Heritage site, amidst the Asian fusion and ancient Architecture, awaits our yoga center in participation with the Nomad Yoga Studio. Practice yoga in the eternal beachside ambiance surrounded by picturesque palm fringes and a soothing breeze that fills the heart and body with purist contentment and peace. The Hatha Yoga TTC in Vietnam is a treat for the yogis who are globe-trotters, adventure seekers, health food junkies, ethnicity enthusiasts, and true diggers of natural beauty and solace. 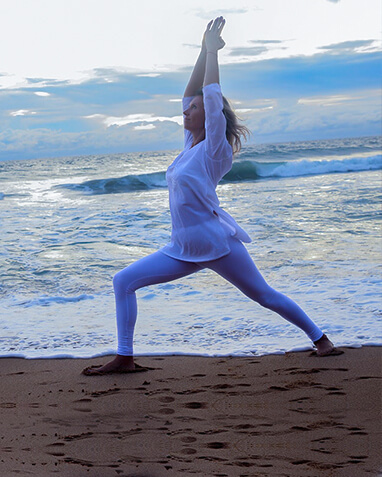 The Praia do Bilene Beach Resort shall welcome you to a quiet, full of luxury and solitude-full of Hatha Yoga TTC in Mozambique, Gaza with Rishikul Yogshala. 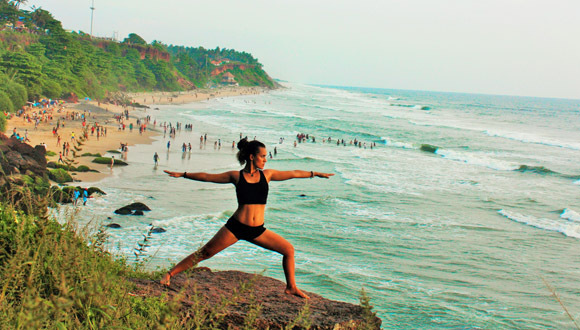 Explore the traditional Hatha Yoga style and its practices while dwelling on the globe-eminent coastal vacation destination. Relish the wonderful vegetarian and vegan home-cooked delicacies prepared by our Indian Chef while absorbing the traditional roots of the Hatha science under the guidance of our teachers here. Take a pause and self-reflect by the sea side after a meditative session or bask in peaceful moments during the leisure hours. 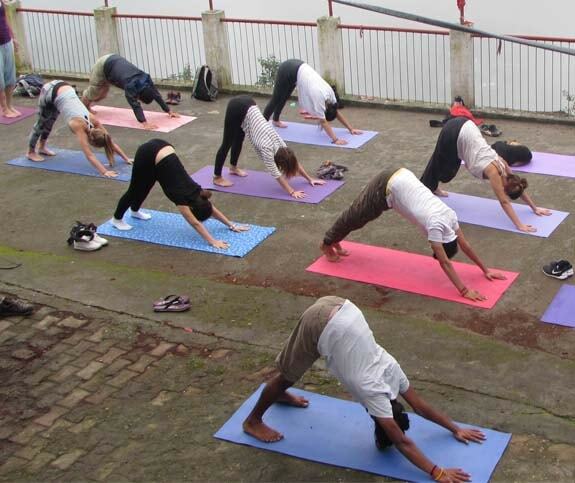 The Hatha Yoga Training at Rishikul Yogshala is conducted during 200 Hour YTTC, 300 Hour YTTC, and 500 Hour YTTC programs. Aspirants may enroll according to their eligibility and requirement. Beginner Level yogis and yoginis willing to undergo sincere teachings of traditional Hatha Yoga are eligible to apply for the 200 Hour YTTC at the school. During the month-long program, we shall cover all the fundamentals of Hatha Yoga, including the primary series in both theory and practice. Best suited for those willing to take their learning and practice to an advanced level of Hatha Training. Only 200 Hour YTTC graduates are eligible to apply for this program. During this program, we shall cover the advanced practices of the science including the secondary series in both theory and practice. The program duration is 29 Days. This highly intensive 2-Month long course is an amalgamation of 200 Hour YTTC and 300 Hour YTTC. The program is ideal for those aspiring to become yoga teachers and practitioners without exerting a break in between. A complete combination of the teachings of 200 Hour and 300 Hour yoga programs form the core of this program. 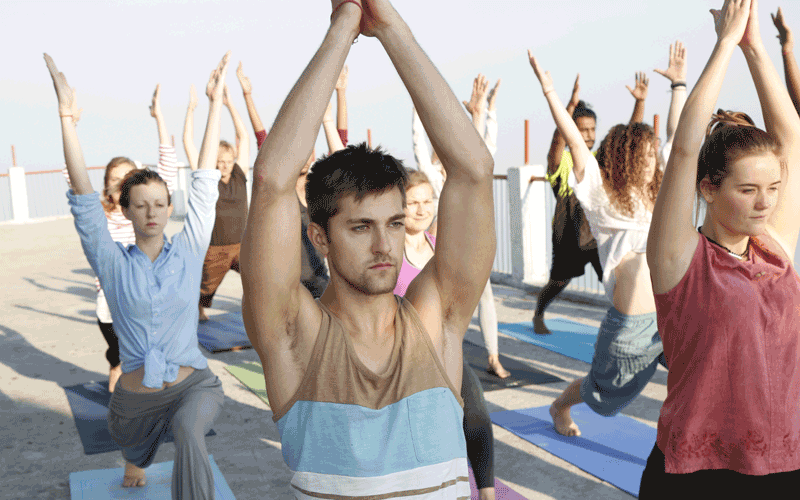 WHO IS HATHA YOGA PROGRAM IDEAL FOR? The desire to commence the yoga journey with perfection as this is the only art form that prepares a yogi for undertaking higher practices of yoga. A need to exercise the hidden potential towards acquiring extraordinary qualities and growth. Ambition to master the style that is a source of inspiration for a majority of yoga styles that have ever emerged. Desire to lead a disciplined and disease-free life. Finally, to achieve equilibrium in the mind, body, and spirit. Evolution into a serious yogi capable of taking higher practices. An Unleashed potential and awakening of the dormant energies in the body. Achievement of balance and equilibrium in the heart and spirit. Acquire the ability to exercise the body and mind for heightened experiences. Assimilate the solar and lunar energies into a single being. A rejuvenated mind and a healthier body both internally and externally. Learn to self-heal and overcome obstacles and afflictions. Get rewarded with Yoga Alliance Validated Certification and teach the style globally. Embark upon the road to self-discovery and self-realization with this program.